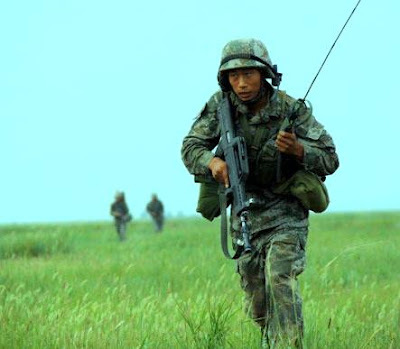 Chinese (PLA) New Type (QCW-05) Suppressed Submachine Gun. 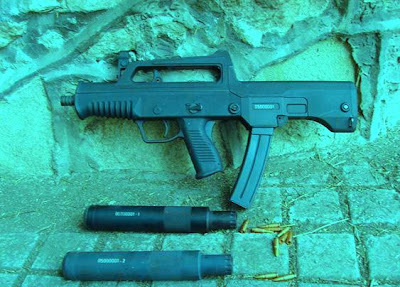 Chinese New Type QCW-05 suppressed sub-machine gun is developed by the People’s Liberation Army 208 Research Institute and Jianshe Industries (Group). 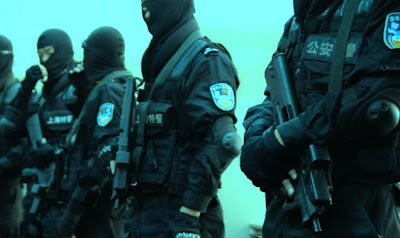 Chinese South Industries Group for the People’s Liberation Army Special Operations Forces and the People’s Armed Police. This weapon is designed for the 5.8 X 21 mm DCV05 sub-sonic round that is also used by the QSW-06 Silenced Pistol.